To help people understand the various terms used when talking about NGA Greyhounds and Greyhound Racing, we’ve provided definitions for the most commonly used terms. 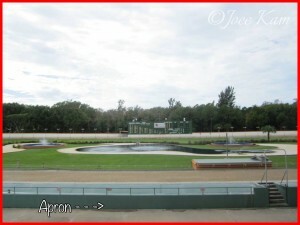 An area located next to the racetrack where patrons may watch Greyhound racing up close. A fence line separates the apron from the actual racing surface. 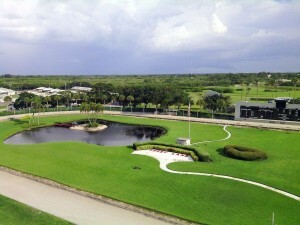 The area of the racetrack opposite the finish line. At most tracks, it is the area that crosses in front of the Tote board. A record of each race showing finish, calls, odds and comments describing each racer’s performance. 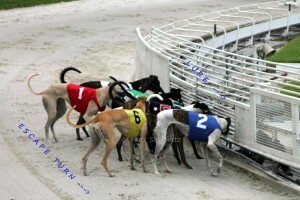 A random process by which each Greyhound’s starting position is determined. 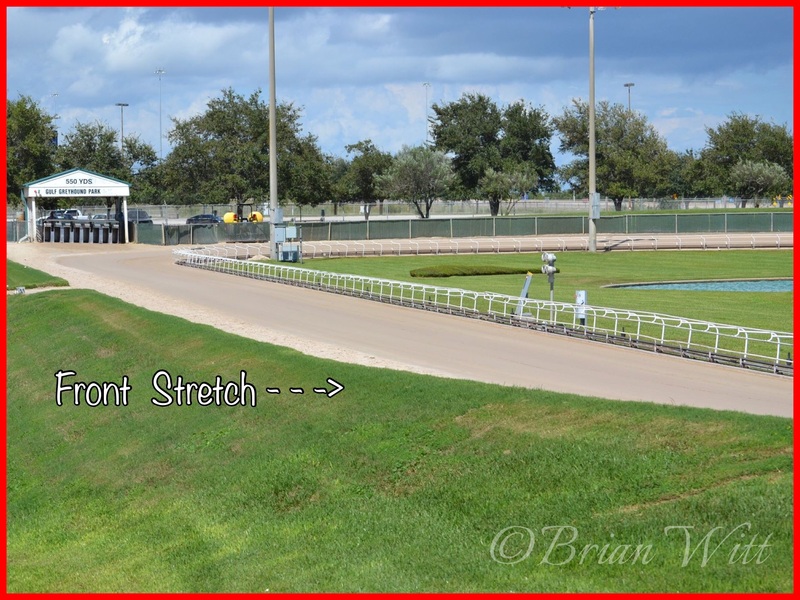 The portion of the racetrack closest to the Apron. The finish line is located here. Grades range from Grade AA, the top grade, down through Grades A, B, C, and D.
Each time a Greyhound wins, it advances one grade until reaching AA. 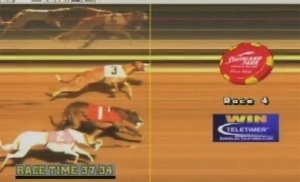 Greyhounds are lowered in grade after posting three consecutive finishes fourth or lower. 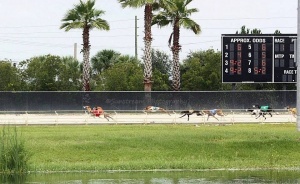 Method of assuring greyhounds compete against racers of similar caliber; grades are assigned according to performance, with the top grade being “A”. Some tracks use a grade AA. A first, second or third-place finish. 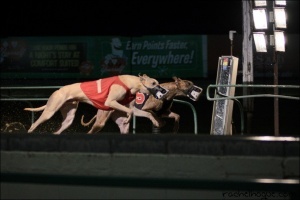 A handler employed by the track who parades racers in front of the public before a race, places the Greyhounds in the starting box, and retrieves the dogs when the race is finished. 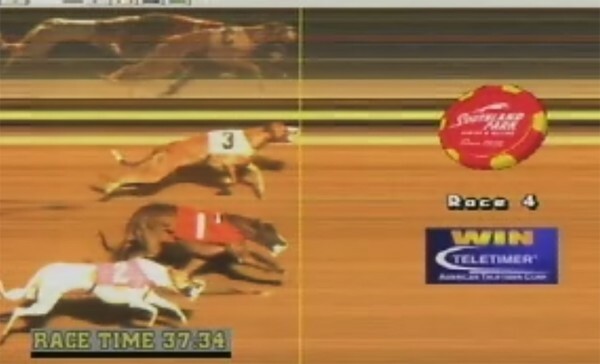 The margin equal to the length of one Greyhound. 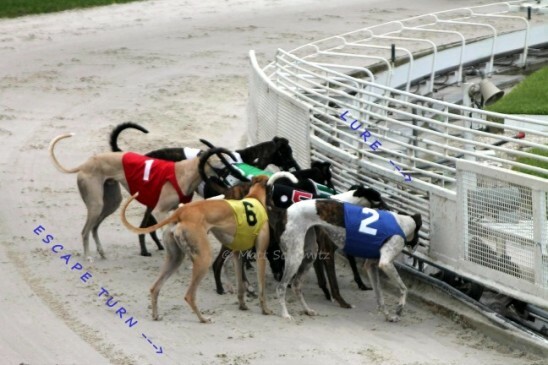 A term used to denote how far ahead or behind each Greyhound is during or after a race. Measuring speed, each length is computed to represent about 7/100ths of a second. A mechanical device attached to an arm and electrically driven around the racing strip. The lure operator keeps it a uniform distance ahead of the Greyhounds. 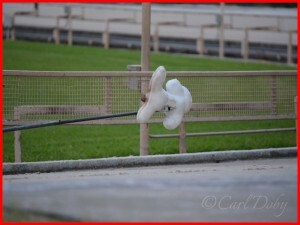 It’s the object the Greyhounds chase while racing. A lure generally is a stuffed object that resembles either a bone or a rabbit. Other examples are flags, tassels, and windsocks to name a few. A Greyhound that has not won an official race. This is the lowest Grade designation. 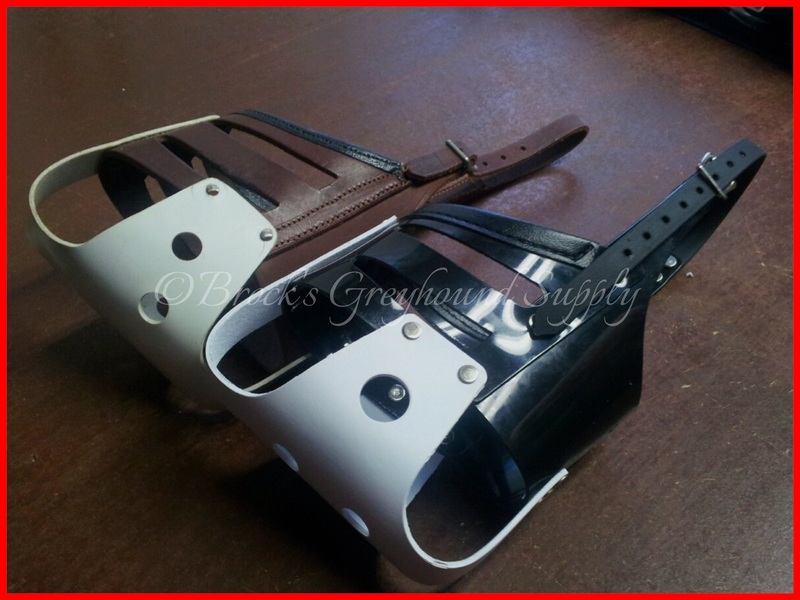 Once a Greyhound wins a Maiden race, it advances to Grade D.
A plastic device with a white tip, which is fitted over the Greyhound’s mouth and jaws, used as an aid in a close photo finish, and to protect other Greyhounds while racing. The area of lockout kennels, scales and the inspection area. 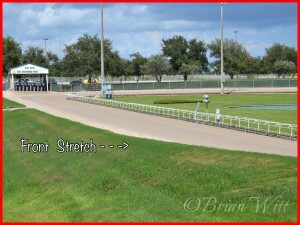 The Greyhounds are kept there prior to racing. Before a race, the Greyhounds are weighed, identified by a paddock judge, walked and blanketed before entering the track. A wagering term describing the Greyhound finishing second in a race. 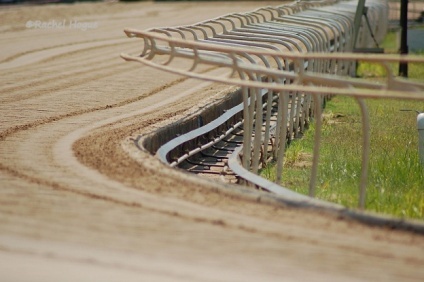 A Greyhound’s box or post position number. 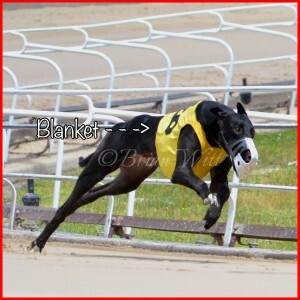 A Greyhound’s blanket number always corresponds to the number of his starting box. The term also is used to recognize the exact time the Greyhounds start from the Starting Box. 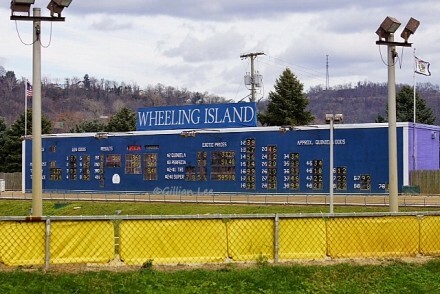 An unofficial training race (practice race) held using actual racing conditions, but in which no wagering is allowed. 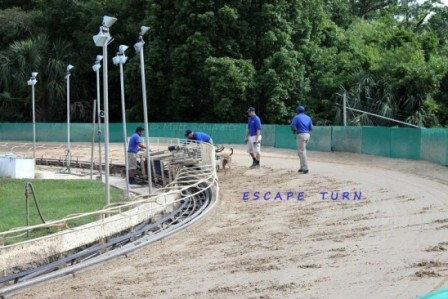 Withdrawal of a Greyhound from a race. Dogs can be scratched by the trainer, the vet, the paddock judge, or the racing officials. The third Greyhound across the finish line. A wager to show means you collect if your selected Greyhound finishes either first, second or third. A mechanical gate that ensures all runners start in unison. A board located behind the racetrack’s backstretch that displays the odds, pools, results, and payoffs for each race. 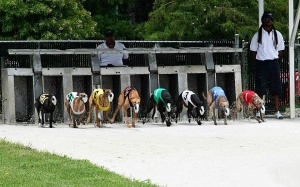 On the day of a race, the dogs who will be racing are weighed-in when they arrive at the track at a designated weigh-in period, usually an hour to an hour and a half before the start of the First Race. 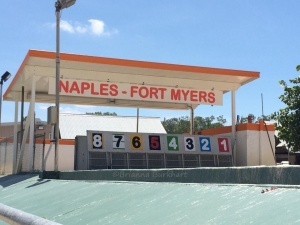 For example, all greyhounds racing at night, with a post time of 7:30pm for the first race, will weigh-in from 6pm – 6.30pm. The weigh-in is conducted by Track and State officials including a State-licensed veterinarian, State Judge, the Clerk of the Scales, Leadouts and the Paddock Manager. Once the dogs are weighed and cleared for racing, they are kenneled by track personnel. 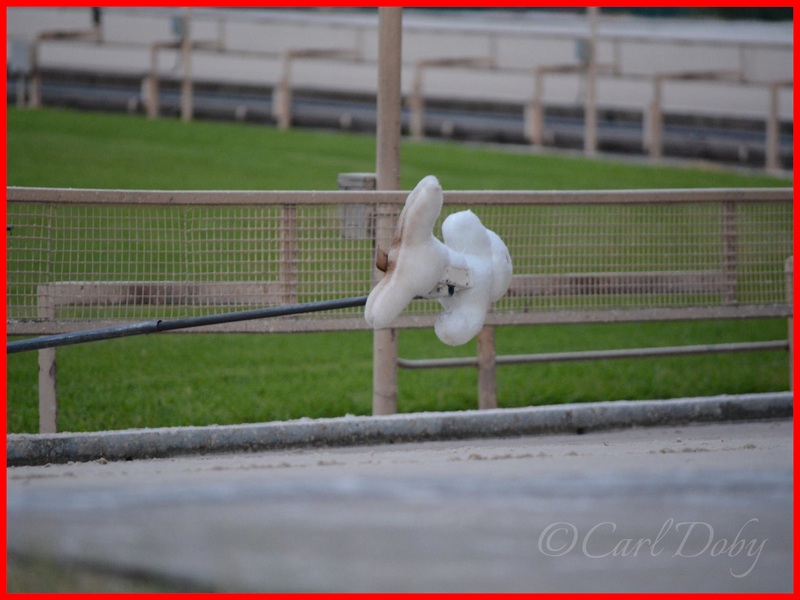 The trainers will not handle the dogs until after their races are completed. Every racing greyhound has a Set Weight. 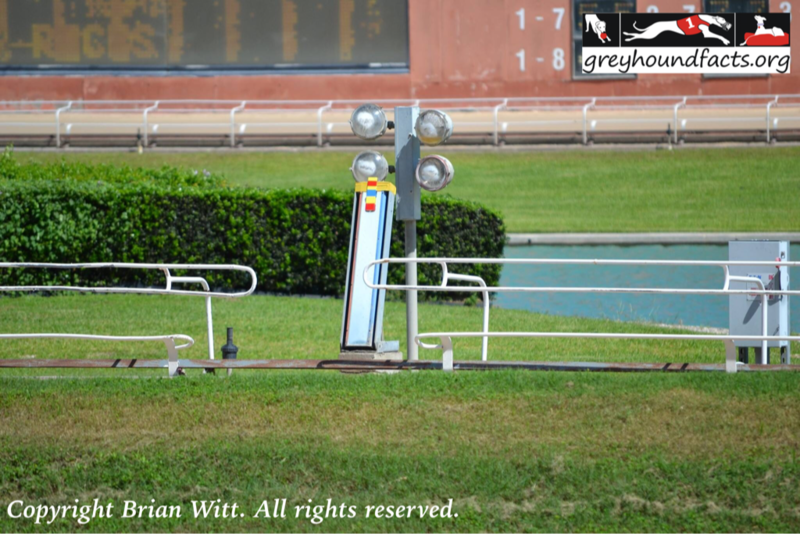 A Set Weight is established by the trainer/kennel owner and designated as the optimum weight for a particular greyhound. 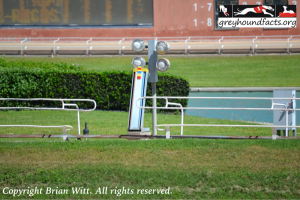 When the dog weighs-in for racing, their weight is recorded by the Clerk of the Scales as the Weigh-In Weight and is what the dog weighs before they are kenneled in the track facility. The dogs’ Weigh-In weight cannot vary more than +/- 1 ½ pounds from his Set Weight or the dog is scratched from that race. After being kept in the holding kennel, the dog is weighed again just before the Post Parade. This is the weight they announce in the Post Parade and this is the Racing Weight. 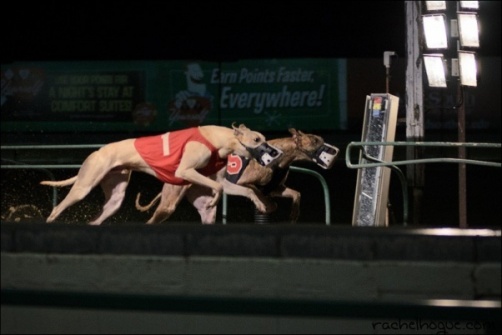 If a greyhound loses weight while in the Holding Kennel, they can be designated as a Weight Loser (WL) and will be permitted to run in only early races, so as to not hinder the greyhound’s performance. The weight listed in the Racing Program (in bold) next to the dog’s Race Name is the Set Weight. The weights listed in the rows of Past Performances are the runner’s weight at Post Time, aka Race Weight. A trainer can change a dog’s Set Weight at any time during their career. The weight can be increased/decreased as needed, depending on the trainer’s assessment of the dog’s optimum racing weight. The finish line for a race. There is no actual wire used.